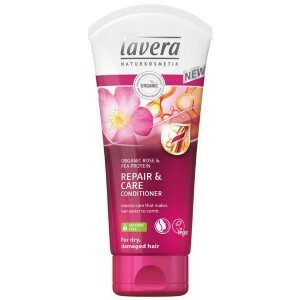 For stressed and dry hair, this silicone free intense conditioning treatment with organic rose and plant keratin helps to smooth the hair structure and delivers enough moisture to leave hair feeling silky and sleek. It nourishes deeply to provide excellent deep conditioning and helps eliminate tangles. 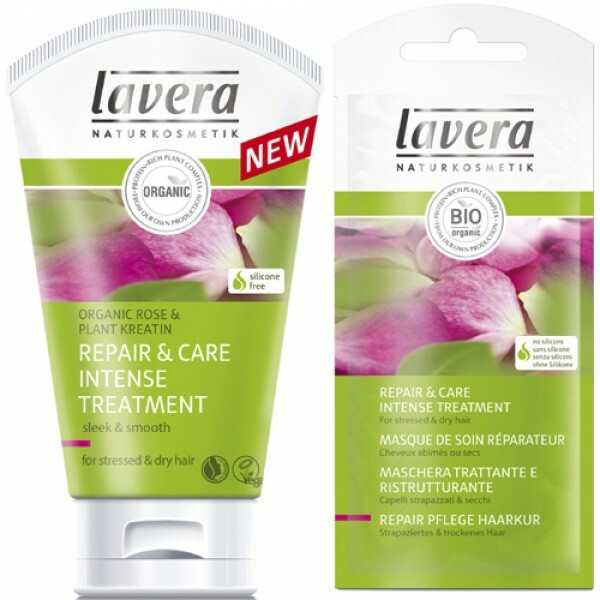 Available in an individual use sachet or extra value tube which contains at least 6 treatments. 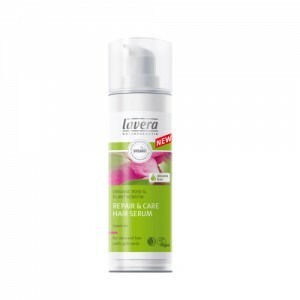 Replaces Lavera Rose Milk Hair Treatment which has now been discontinued. Apply to the length of the hair after shampooing, leave for 3 minutes before rinsing thoroughly. 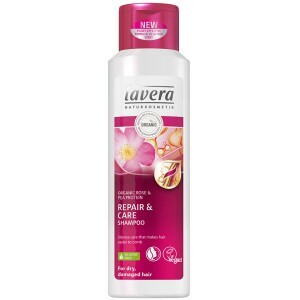 For best results use in combination with Lavera Repair and Care Shampoo and Conditioner.